Beginning at the Beginning: As a parent, you are your child’s first and most important teacher. Your child will learn more during the early years than any other time in life. How your child grows and learns during these years – beginning at birth – will affect his or her later development and success in school. 1. Personal Visits – Mindy Ford and Cathy Theiss, Certified Parent Educators trained in child development, provide home visits to families who qualify. They can help you understand each stage of your child’s development and offer practical tips on ways to encourage learning. – Have a developmental concern for your child. – Would like a screening to place your child on the waiting list for a typical peer spot in one of the Early Childhood Special Education classes. – Would like to see if your child qualifies for Title One Preschool. – Would like confirmation that your child is developing appropriately. 3. Referral Network – PAT helps families link with special services, if needed, which are beyond the scope of this program. 4. Group Connections – PAT partners with ECSE, Title One to provide fun activities your family can attend. We also have Story Time with the parent educators several times during the school year. Research has shown that children whose parents were involved in PAT were significantly advanced over their peers in language, social development, problem solving and intellectual abilities. Children whose parents were involved in PAT also scored significantly higher on standardized measures of reading and math achievement than did comparison children. Give your child the best possible start in life! Join the more than 100,000 Missouri families who are benefiting from Parents As Teachers. To be part of Windsor PAT, contact Mindy Ford and/or Cathy Theiss at Windsor Elementary at (636) 464-4499 or mford@windsor.k12.mo.us, ctheiss@windsor.k12.mo.us. 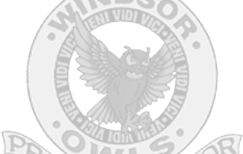 Check our Facebook Page for additional child development information and activities: Windsor C-1 Parents as Teachers. The Bubble Bus will visit Freer Elementary in conjunction with the fall Book Fair, Thursday, October 4, 2018, time to be determined in the future. PAT, Title One and ECSE families are welcome. Stuckmeyer’s Pumpkin Patch: $8.00 per child ages one and older for wagon ride and small pumpkin. $5 per adult for wagon ride only (no pumpkin). Playing in Fort Spooky is free. Friday, 10/19/18, at 9:30 AM. PAT families, ECSE and Title One families are all welcome. Polar Express – December 6, 2018. The time will be announced closer to the event. A night of fun holiday activities for families of PAT, Title One and ECSE Classes. The event will be held at Freer Elementary in the evening. Spring Fling: To be held at Kade’s Playground on Friday, April 26, 2018. Fun games and activities for PAT, ECSE and Title One families. 9:30-11:00.